Home > When does a telescoping product come in handy? When does a telescoping product come in handy? Imagine you have a heavy load that needs to be moved across a length of open space. You’ll most likely use a forklift or crane. 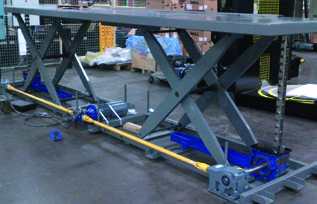 If this is an activity that needs to be done repeatedly, you may start to consider a permanent fixture such as a conveyor. But if the space is needed for other uses you’ll need a better solution. 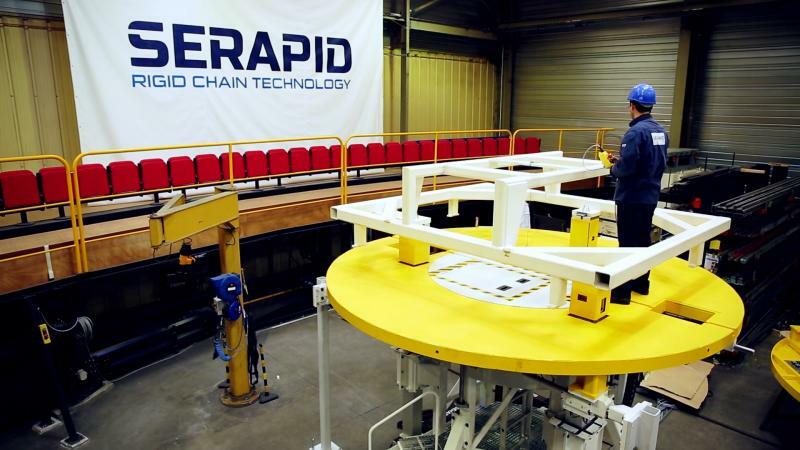 One of the core attributes of SERAPID’s Rigid Chain products (RCT) is the ability to operate telescopically. That is to say the chain can move into an area when moving a load, release the load and then back out leaving the area free. How does it work? The Rigid Chain is made so it is completely rigid when the links are locked. These links remain locked for either pushing or pulling and only unlock when retracted into the gear housing. The coiled chain can be stored in a multi-return magazine minimizing the space used, reducing the length of chain to a compact, contained unit. This translates into real cost savings when you calculate the money spent per square meter/foot for your manufacturing facility. Instead of dedicating the space for a single activity, the telescopic unit allows you to occupy that space only when in active use. This telescopic functionality also offers the ability to bridge gaps in its transfer path. For instance, with die handling, the aisle needs to be free for maintenance and tool grooming. The rigid chain can bridge that gap to bring the die up to the press, backing out afterwards. This also holds true when moving across a door threshold of a furnace, autoclave or the like. The push chain’s telescopic ability has been put into practice for value added processes like deburring or quality checks. The motor driven rigid chain can thrust through the full length of the pipe or tube, coiling into storage after use. 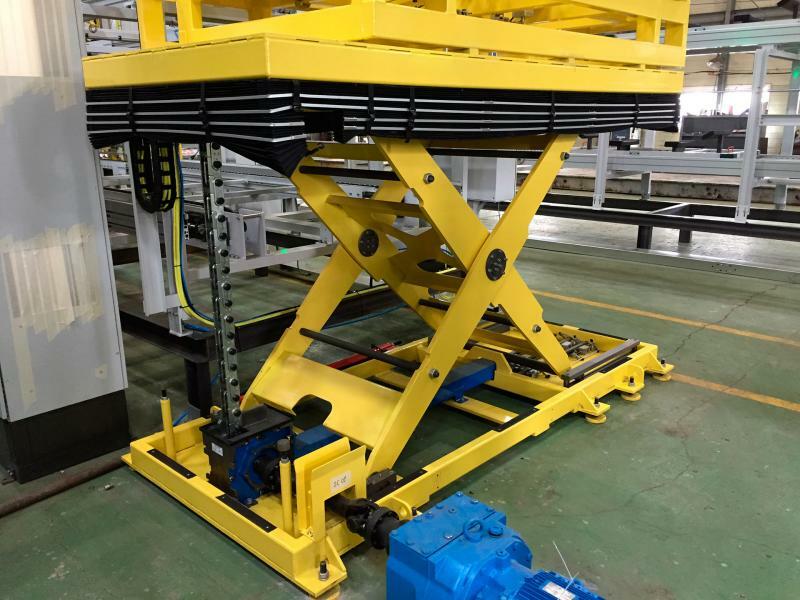 SERAPID has used this same idea in a welding application to produce a 40 metres (40-foot) boom crane. The crane, consisting of a tube made of separate plates of steel, precision welded on the inside corners, was made by using the rigid chain to move a specialized welding head through the tube. 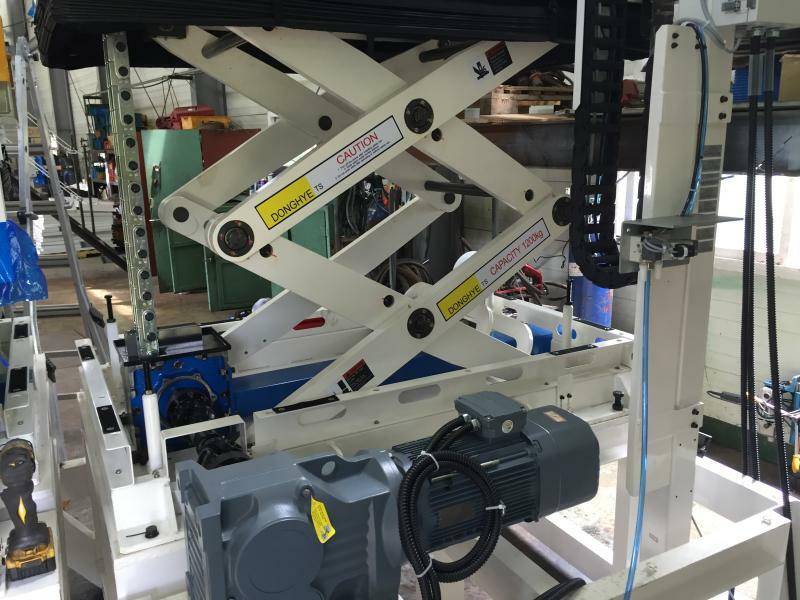 Automating this process allowed the manufacturer to increase production and reduced the need for operator attention, making good sense not just technologically, but business-wise as well.